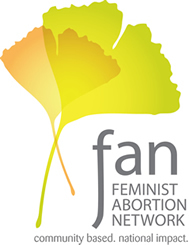 Feminist Abortion Network - experts in abortion care across the USA. The Feminist Abortion Network supports the continued success, excellence, and strength of feminist health care providers. FAN seeks to provide feminist perspectives and leadership to help frame the women's reproductive health and justice movement. FAN is committed to the mission of helping women making fully informed health decisions and having access to caring, comprehensive, quality health services. We believe that individuals are capable of making informed decisions about their health care, and they deserve to do so in an atmosphere of dignity and respect and as active participants in their care. Our health care practices are not directed by corporate mandates, but by the needs of our communities. Our independence allows us to be accessible and responsive to our communities and enables us to take action on emerging and immediate community needs. We provide support and services to vulnerable and historically marginalized communities. We are not responsible to stock holders, but to our community, our Board of Directors, and our stakeholders. We are proud partners of the broader reproductive justice movement that advocates for a woman’s right to determine whether and when to have children, to become a parent, to parent with dignity, to have a healthy safe pregnancy, and to have healthy safe families and relationships. We are stronger together. We work in collaboration to inform public policy, challenge unjust legislation, educate and influence the work of our allies, and to raise and amplify the voices and experiences of the individuals we serve. For funding and press inquires or more information about the Feminist Abortion Network, please email us. 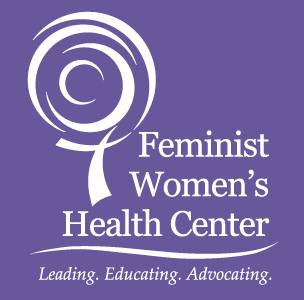 Feminist Health Center Closes After Thirty Years, What Does It Mean for Women?